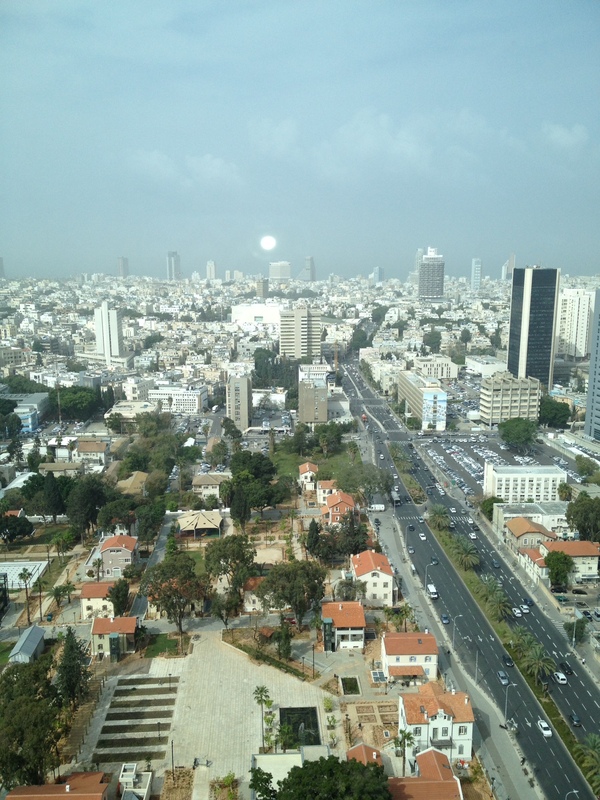 Today is Sunday, the start of the Israeli business week and we had a very busy day ahead of us. 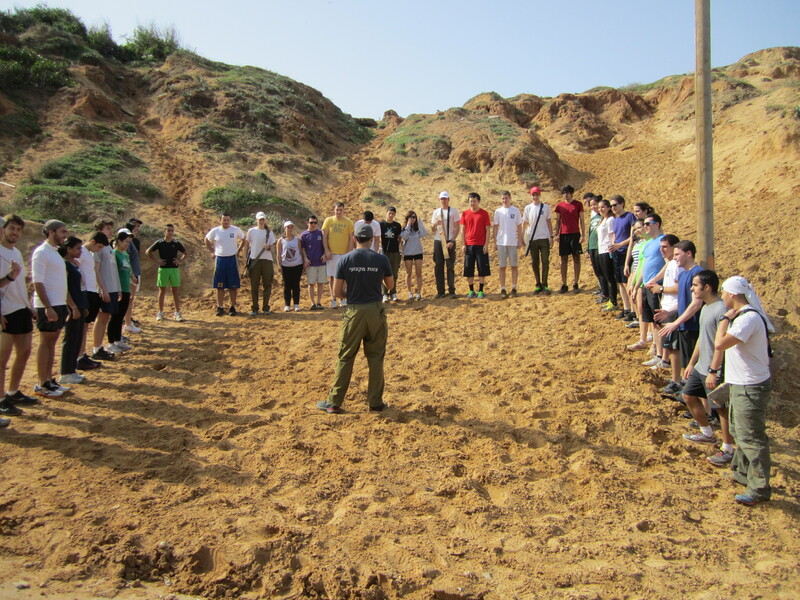 We were off bright and early to get our butts kicked at the Yuval Eilam Boot Camp, a combat training program for students trying to get into the most elite and competitive units of the Israel Defense Forces. 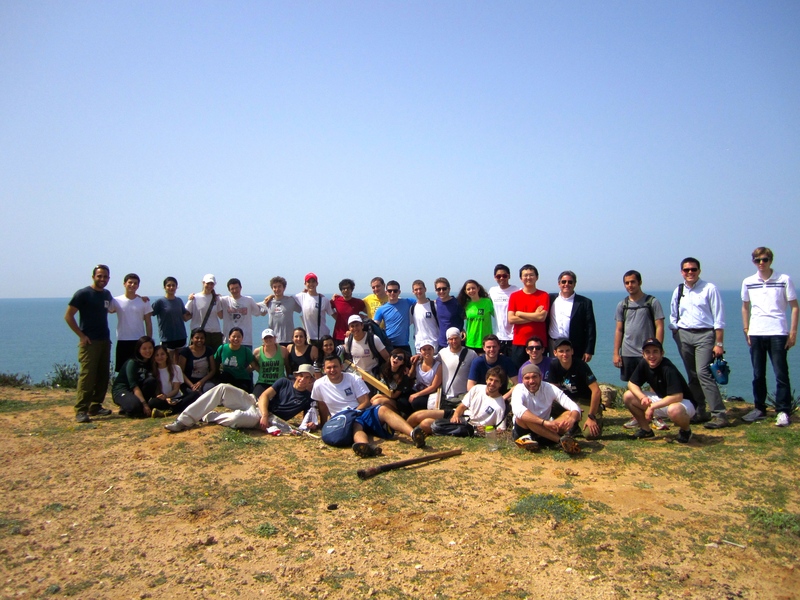 We were broken up into small groups of Babson students and were led by two high schoolers enrolled at the camp. They took us through their stretches and a modified training program; needless to say, I did not last too long. 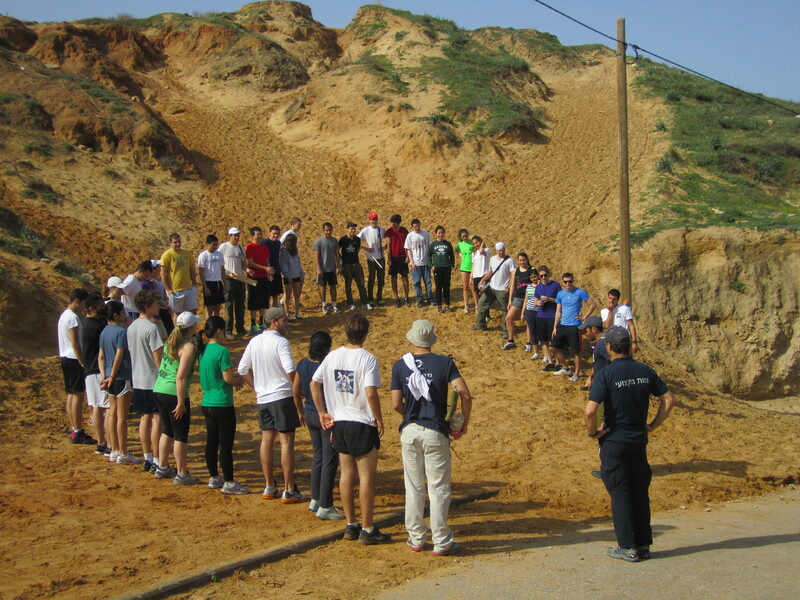 The first portion of the training was the physical component: running on the beach, push ups in the sand, backwards jogging up hills, and sprinting up sand dunes. We were forced to stick together as a group and could never leave a person behind, so there were many times where my two arms were being pulled and I had absolutely no control over my legs. We then came back together as a group and did a lesson which taught us about teamwork, trust, and the importance of attention to detail. We were required to hide three people in the sand dune and had to be so meticulous as to leave no trace that we had touched the ground. This was very challenging and some groups were more successful than others. I was hidden in tires and bags were thrown over me, it did not take long for someone to find me. A key take away from this training is that the students are always practicing in the harshest conditions. 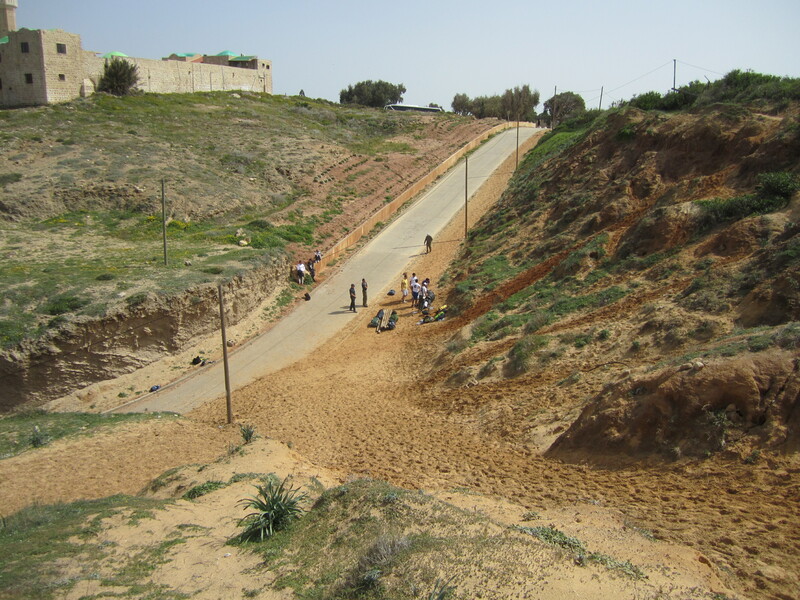 Doron Maman, told us you must always practice in the worst conditions so you are prepared for anything and anything less than what you have prepared for will be easy. I believe this attitude is transferred and seen through the start-up culture in Israel because during the start-up phase, a company is its most volatile and susceptible to outside forces, there is no stability or guarantee. The IDF mentally, emotionally and physically prepares individuals to be successful in the start-up nation and this is one reason why I believe there are so many successful start-ups in Israel. The final lesson of the day was again focused on teamwork and communication. All 38 of us had to stand in a circle and each say only one number but could not speak at the same time as anyone else and had to count up to 38. This took a couple of tries but we finally were able to work together and reach our goal. The final exercise, one of my all time Peer Mentor favorites, was the human knot. I had never done this activity with more than 25 people and it was fascinating to watch as everyone tried to compete over each other for whose idea would work best. Naturally, this was unsuccessful and through trial and error we finally unraveled ourselves, for the most part. 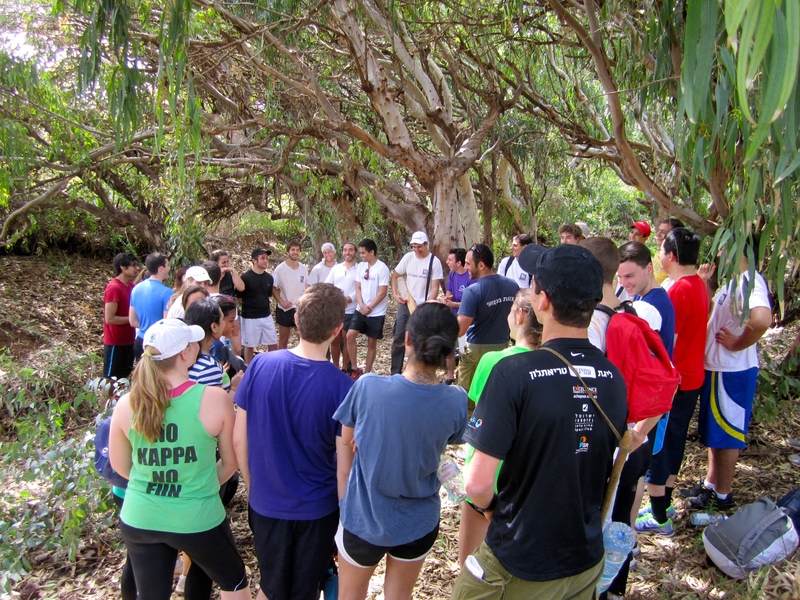 Not only was this a great activity for teamwork but it clearly showed different types of cultural communication styles and how we all needed to readjust our approach so we could all work together. We ended the day on this beautiful mountain. Before we could say goodbye we all got into another big circle and singing this chant. I forgot what the words meant but it was fun jumping around chanting in a language I am unfamiliar with. After our very adventurous morning, we had a couple of minutes to change on the bus before our business visits to Microsoft and Google. 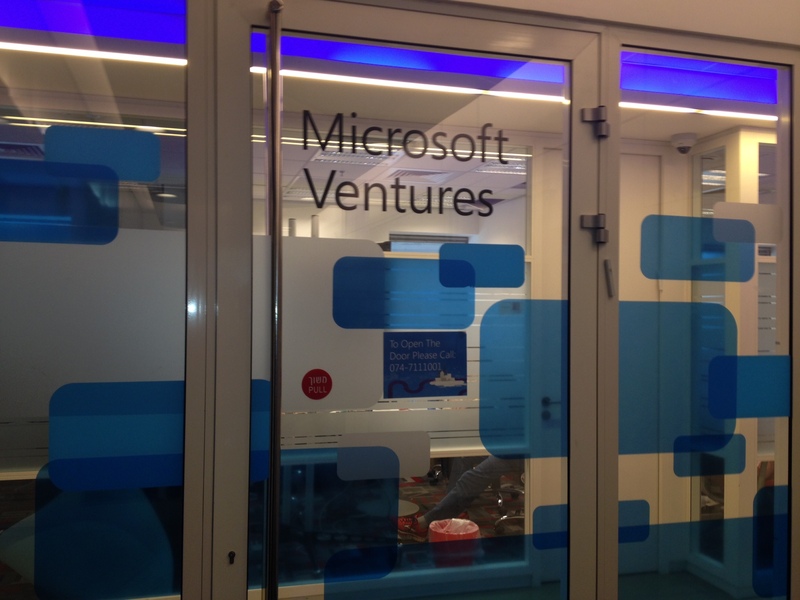 We first visited the Microsoft Accelerator which has a 4-month program for early stage Tech start-ups. 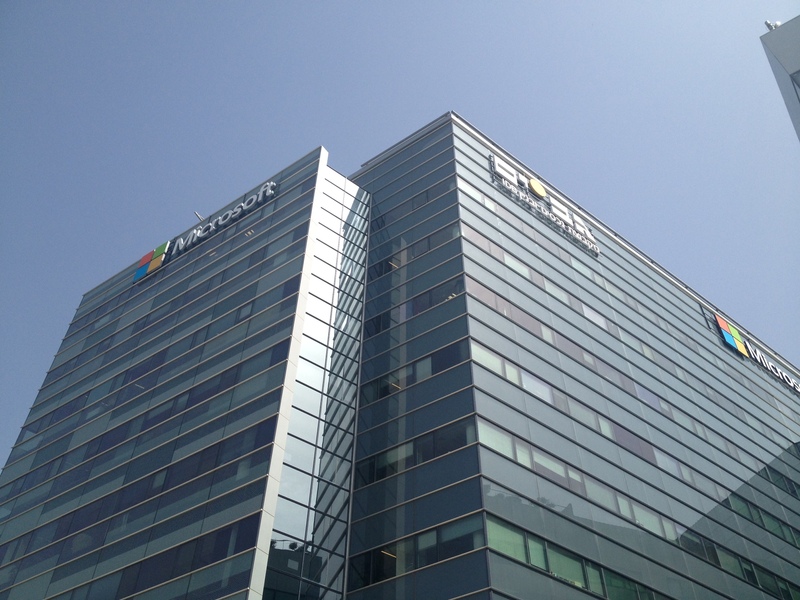 The office was very quiet because of the Purim holiday but it was still interesting to hear about the services Microsoft provides to help these new companies. 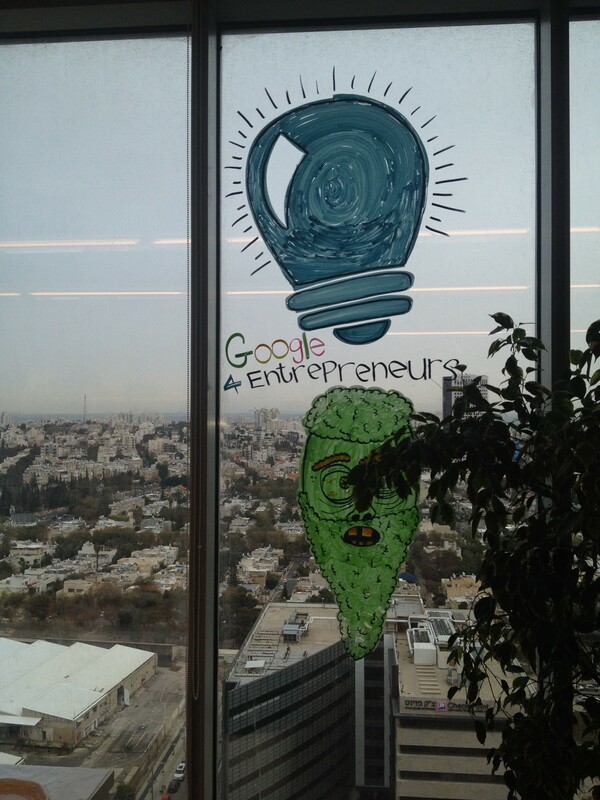 Our final stop was to the Google R&D facility where we heard from speaker, Assaf Luxembourg who provided a great historical summary and background as to why this entrepreneurial spirit is so prevalent in Israel. Assaf also touched upon Israelis having a “culture of exits,” in being that there is a lot of innovation and research and development in Israel but individuals are fascinated with beginning something new, they are much less interested in growing companies. Israeli is also only made up of 8 million people, it is about the size of New Jersey, so the market for Israeli companies is rather small and the best way to survive is by moving to the United States. Therefore, many Israeli companies have incredible products and technology but are then bought by large Western companies. 1. The Office of the Chief Scientist of Israel where we were able to hear how the government supports and spurs entrepreneurship in Israel. The OCS supports hundreds of pre-seed stage companies each year with the hopes of encouraging research and development in Israel. The OCS only asks for the investment to be paid back if the company is successful; if the company is unprofitable, the debt is cleared. This is a great way to encourage individuals to take risk because there is minimal personal loss. As learned from Assaf, Israels’ culture of exits is a challenge the OCS is trying to overcome, being that it is the one of the original investor for most of these companies. As a way to disincentive companies from moving their Intellectual Property abroad, the OCS has fines in place penalizing companies who sell their IP or move the company outside of Israel. 2. Cedar Venture Capital was a great visit because we heard from Motti Vaknin, a serial entrepreneur who seemed very down to earth and interested in sharing his experience with Venture Capital in Israel. When looking to invest, he emphasized how important it is to look at the team. He said that he would rather invest in teams who have no idea than a team that he does not believe will work well together. I found this fascinating and this is just another insight to how respected and valued human capital is in Israel. 3. Lool Ventures (KIDOZ) was the ultimate reason we came on this trip. Lool Ventures is the incubator in which all of our companies, that we would meet and be consulting for for the next six weeks, were located. My group will be working with KIDOZ, which is a company that has created an impressive operating system that turns phones, tablets and PCs into kid friendly devices for playing and learning. During our visit we met with Gai, the Founder and Eldad the Chief of Revenue. They were both very passionate about the company and interested in learning about us and our passions so I am really looking forward to this project. 4. 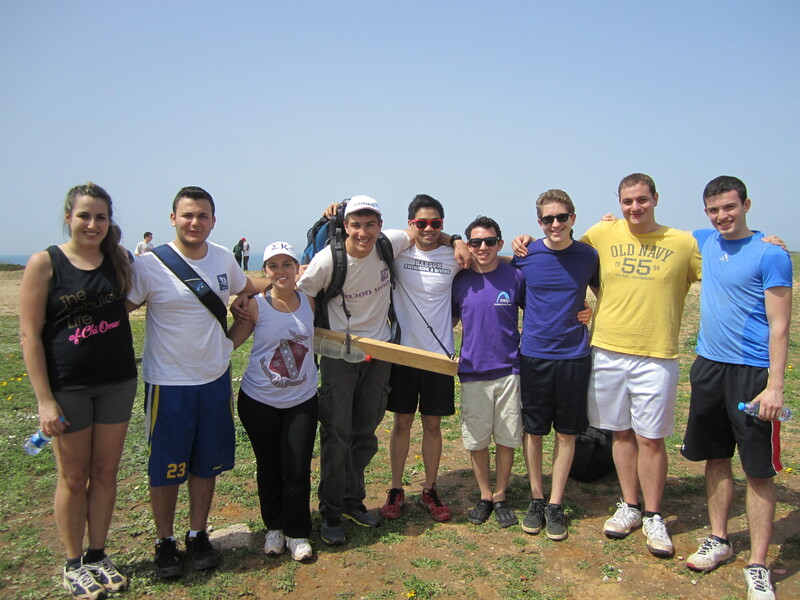 Imperva was our first large Israeli company that we visited. 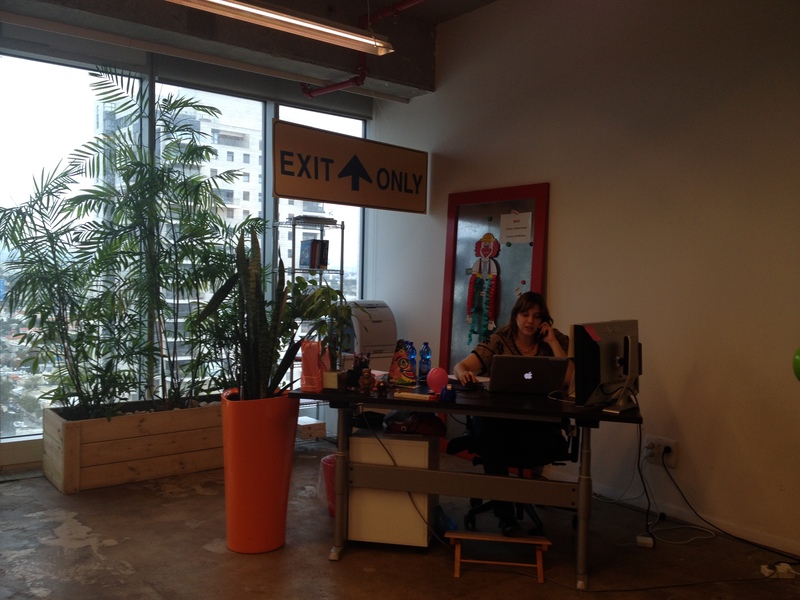 The company was founded by Shlomo Kramer, one of the most successful serial entrepreneurs in Israel. One of my key takeaways at Imperva was again how much they value their employees and the importance of developing a good team when starting a business. 5. 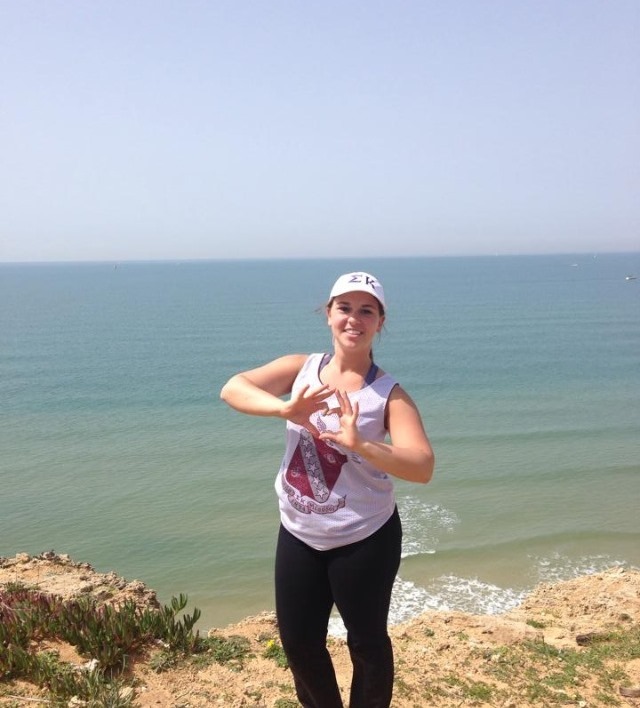 The Weizmann Institute of Science was a very different visit but upon entering our guide read us a quote from Albert Einstein, “I have no special talents I am only passionately curious” which really resonated with me. 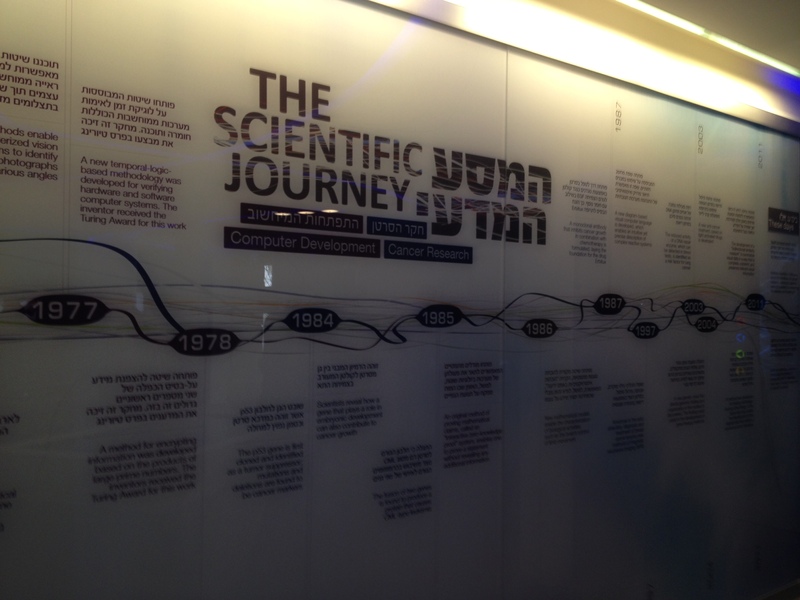 As we walked around the institute we were able to see the different types of research that is going on and it was very interesting to see the Israels commitment to bringing the greatest scientists together learn from one another and share their passion for research at this hub of innovation and creativity. 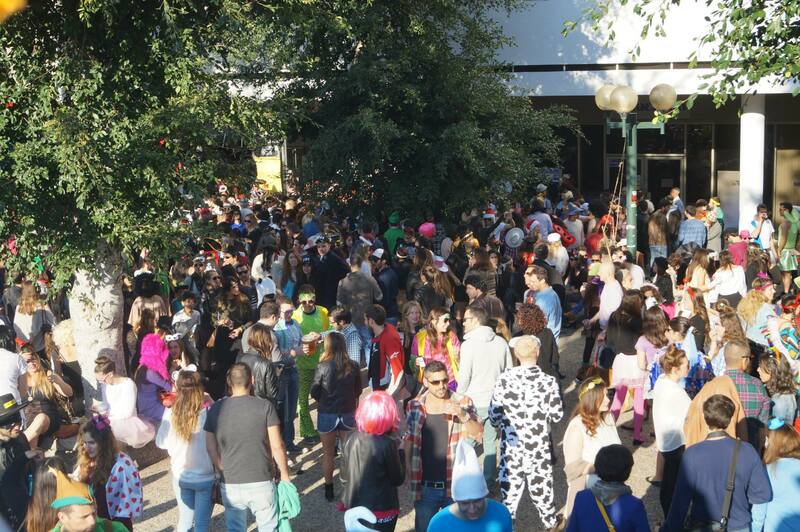 Tel Aviv is an incredibly lively city and it was so much fun visiting during the Purim holiday. Before Jerusalem we will be spending the night in the desert visiting a Bedouin Village, Masada, the Dead Sea and different companies that harvest minerals from the Dead Sea and have become extremely profitable.